Eipix Entertainment proudly presents the next installment of the Hidden Expedition series! 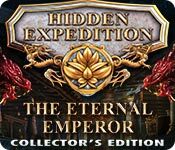 Hidden Expedition: The Eternal Emperor Collector's Edition is rated 3.5 out of 5 by 46. Rated 5 out of 5 by Abianne from Loved iiit! Happy to be back solving ancient mysteries with my old buddy Sam. :) He has the worst luck in this installment, poor guy. XD It's definitely a great continuation of the series. I don't really have anything to add that anyone else hasn't already said, but I will say that I highly enjoyed the game and wholeheartedly recommend it. Also I really wanted to smack Eugene. Rated 5 out of 5 by Pennyroyal from Hidden Expedition Back to Fun Again After those last awful installments of Devil's Triangle and Uncharted Islands, I wasn't sure I'd play another Hidden Expeditions game again. So happy I bought this one! It is back to their former format, challenging but playable and a decent storyline. 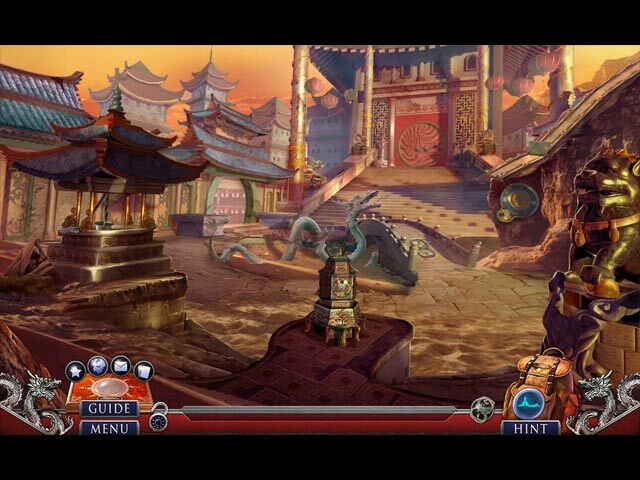 Definitely recommend this game if you've loved Hidden Expeditions in the past. Rated 5 out of 5 by Chrysalis_New from Eipix, you have outdone yourselves! This game is the most sophisticated yet. The story was amazing, I actually felt tension. 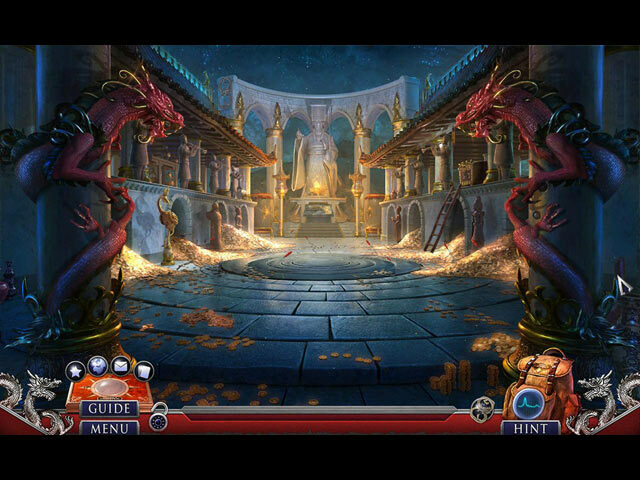 The puzzles were very difficult I feel and surpassed my humble brain several times---yes I used the Skip button! This one is right up there with Smithsonian and the Ravenhurst series. Well worth your time to play this one! Rated 5 out of 5 by An0therW0rld from Stunning Scenes... Plenty of true Hidden Expedition flavour in this game. As my title says "Stunning Scenes" ... all throughout the game - just beautiful artwork. The player is taken on a journey beginning in an enormous mini town tomb and then to the city, the mountains, the desert ... great variety of locations to stir up and stimulate the imagination. The bonus chapter seamlessly follows the main story and is a very good finishing touch to the game. 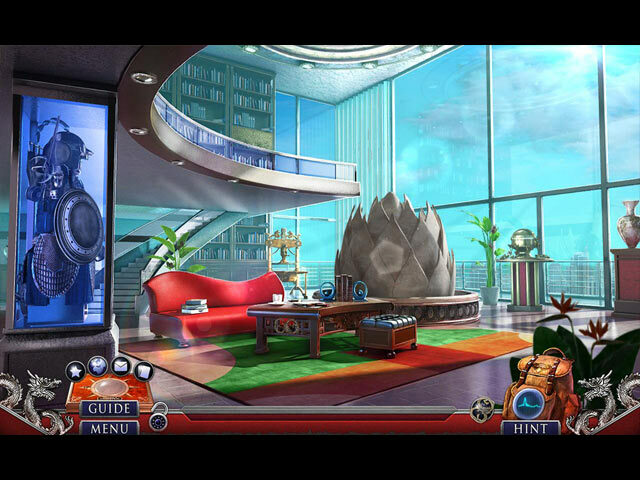 Doing the Souvenir Room at the end of the game is just awesome as it takes you back through 28 scenes from the game. Very enjoyable game - thank you. Rated 5 out of 5 by Keziah000 from Achievements This is a great game - Hidden Expedition is my favourite series. I LOVE collecting the Achievements, but would programmers please put into Extras the opportunity to go back to any that have been missed? Just as it has been done with Symbols and Morphing objects? Thank you. Rated 5 out of 5 by smazur from Great Game I thought this was a great game. An actual storyline that made sense. Not a lot of running back and forth. Graphics were beautiful. Chinese history interesting. I would have liked the puzzles to be the kind where you have to figure out where to start, and then one thing affects another... Some of the puzzles were easy and some were pretty challenging. Overall, I loved it. Rated 5 out of 5 by heleanthia from a sleeper...gorgeous game I am very glad I chose to purchase this game. Although this culture's history is not completely known to me, I am fascinated by it. We NEED more games like this to educate and broaden people's minds. Fascinating story, excellent and fun puzzles, long long game(am only a part way through) Thanks Eipex; another success...the hard work really shows. Rated 5 out of 5 by terryflorida from Couldn't stop playing This was a fun game with a good variety of HO's and puzzles and not too many areas to run around in at one time. Some of the puzzles were really hard and I needed my guide and some were ridiculously easy, but I enjoyed the story line and change of scenery from the tomb, to the garden, the mountain and the desert. One thing I really loved was after I finished the bonus chapter, I also got the option to go back and get the 1 collectible I missed, the 4 morphing objects I missed and all 28 of the souvenirs. I didn't quite understand the souvenirs because when I started a new game and was looking for them, they were not there. I also got to re-play all the HO scenes and win an achievement for getting gold on them. I'd say the whole thing took me about 8 hours.